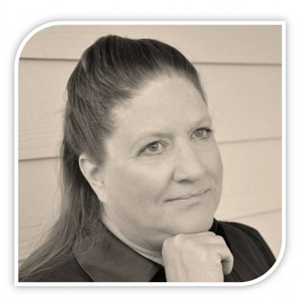 Jeanne Brooks is a Christian writer with numerous projects at various stages of completion. With successful launching of Through the Waters, and her second book, Across the Wilderness, she is busily trying to finish #3, Out of the Valley and #4, Over the Mountain. Although she has seen success with distribution throughout the States and England, it is her prayer that an agent or publishing house will be attracted to the series and show interest in working with her to share them with a broader audience. Jeanne’s early commitment to the Lord, at the age of ten, paralleled her devotion to the written word. She had a natural curiosity about other cultures largely due to her love for her own heritage. Her beloved grandfather shared his love of reading with her sitting at his side. Elderly women in her life, especially her Aunt Grace, took time to mentor her in sewing, music and cooking, and nurtured her love of literature. Jeanne loved reading so much that, from the age of six, she walked three miles every Saturday to go to the Public Library. She has collected books from her childhood to the present and has about 3000 in her current library collection. Jeanne won a reading contest in the fifth grade by reading 155 books in four months and, as a result, her picture was in the local paper to promote the summer reading program. Jeanne and her husband currently make their home in Washington State. Although they lost their only daughter in 1993, God blessed them with four sons and they now have fourteen grandchildren around the country. Jeanne has also become a surrogate grandmother to several children of soldiers with whom she’s worked. Jeanne shares her home with her young-at-heart mother, while her husband of 41 years travels between Florida and Washington in semi-retirement! Her mother is Jeanne’s greatest fan and sounding board for new ideas. Her mother is the first to read a completed project and encourages Jeanne in her writing and publishing efforts. Jeanne enjoys any facet of the literary arts. Jeanne yearns to impress on younger generations her love for reading. … escaping into a time past through historical novels or allowing the mind to envision the possibilities through a futuristic tale. But she aims to reach more than just the children. Sometimes a sociological study fascinates and directs her writing path or, in an effort to help others, she writes self-help books, especially for those who have suffered with depression or, like herself, have lost a child. Jeanne also delves into the area of poetry on occasion, having had two poems published in anthologies. One of her short stories was purchased by Christian magazine and is yet to be published. Jeanne has also written or co-written multiple sermons and sermonettes which were used when she and her husband led their church in Germany. Jeanne would love to hear from readers and visitors to this site. Just email her at the following email address: jeanne@jeannebrooks.com and she will try to answer in a timely fashion.